Blue safety checks are a staple in the United States but what are they and why are they called safety checks? 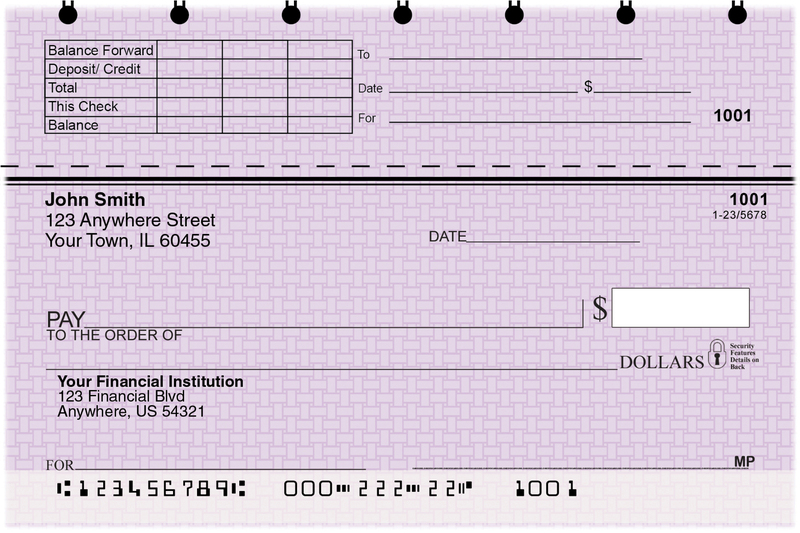 Bank checks are printed on unique safety paper. This check paper, is a chemically treated bonded paper. The paper used in check printing cannot be readily copied or reproduced via conventional reproduction processes. The purpose of using safety paper is to prevent accurate duplication. There are hidden features to the paper that can only be seen under black light and sometimes when copied a message will appear that says, "unauthorized copy." Whether you are a business owner or a consumer, make sure that your checks are printed on unique safety paper. Where Do You Buy Safety Checks? At Cool Checks, blue safety checks are available in different formats. All you have to do is choose which design suits you, click the order button and voila the safety checks you've ordered will arrive at your doorstep within seven to ten days. Blue safety personal checks are as safe as those used for business purposes. Whether you use your checks to pay the bills or as gifts to your friends on special events, blue safety personal checks are the safest medium for money transactions. Tired of blue safety checks? Maybe it's time to put some color into your personal or business safety checks. There are many places that sell blue safety checks but CoolChecks.net is one of the very few that provide pink, yellow and even green safety checks.